One and a half months after the new legislative package on Cohesion Policy for the 2021-2027 period was announced, negotiations are ready to start in order to reach a final consensus before the new European Parliament takes office in 2019. 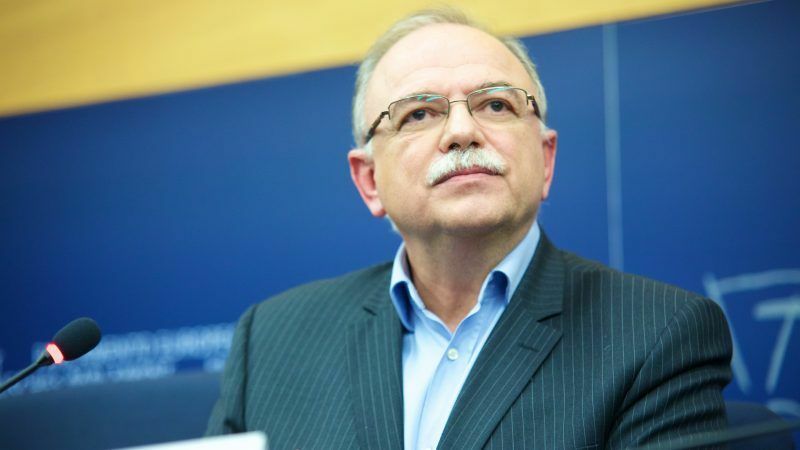 In an interview with EURACTIV, Dimitris Papadimoulis (GUE/NGL), vice-president of the European Parliament, talked about the use of EU funds in Greece, the regional inequalities in the European Union and the relationship of Cohesion with the European elections in 2019. What is your overall impression of the Commission’s proposal on Cohesion and the next Multiannual Financial Framework? The Commission’s proposal for the new Multiannual Financial Framework regarding Cohesion Policy foresees an overall reduction of 10%, to which I am totally opposed. The European Parliament’s position is “no reduction, not even one euro” for cohesion policies. Cohesion policies need an increase rather than a reduction because over the last ten years, inequalities have increased – both social and regional ones within the European Union. For Greece, the Commission proposal, despite the 10% reduction, foresees an 8% increase. I think this is a great success for the country, due to the fact that in recent years Greece has optimized the efficient use of EU funds. We are at the top of the list in terms of absorption of funds, regarding both the previous financial framework and the current one until 2020. I also consider positive the fact that the criteria for distributing Cohesion funds have been modified – with the contribution of Greece – adding some social indicators to the traditional criterion of Gross Domestic Product (GDP). In addition to GDP, other factors are added such as youth unemployment, climate change and the refugee flows. As you can see, all of this adds points and explains the 8% increase for Greece in the Cohesion Fund, while other countries such as Poland expect a 22% reduction. In the proposal, simplification and flexibility are key axes. What do you think that can and must change? A proposal that contributes to the reducing of bureaucracy and the strengthening of simplification and flexibility is a positive step and it is welcome because it helps countries, regions, municipalities and stakeholders to access Cohesion funds more effectively, while at the same time it codifies and simplifies the related audit. On the contrary, in the negative aspects of the Commission’s Cohesion Policy package, I consider the possibility for Cohesion Policy funds to fly away towards other directions that have absolutely no relation with Cohesion. Just like, for example, European defence, which has nothing to do with Cohesion. In addition, the proposal introduces changes to the criteria, so that the biggest share of Cohesion funds does not get to the richest countries that need it the least. For example, based on current statistics, research and innovation funds are allocated by 88% in the countries of Central and Northern Europe, 11% goes to the countries of Southern European and only 1% reaches the countries of Eastern Europe. This has to change. Because this promotes brain drain and inequalities. Do you think there will be a final decision on the Multiannual Financial Framework and Cohesion before the changes in the composition of the European Parliament in 2019? In the upcoming months, a tough negotiation will take place for the implementation and the final proposals. The European Parliament is pushing for positive changes, the Commission is somewhere in the middle, and some member states in the Council – the richest nations of the North – believe that further cuts should be applied. First of all, I hope for a positive conclusion. And the sooner this conclusion comes – and before the next European elections – the better, because the member states will have the opportunity to prepare better for the good use of the resources in the 2021-2027 period.